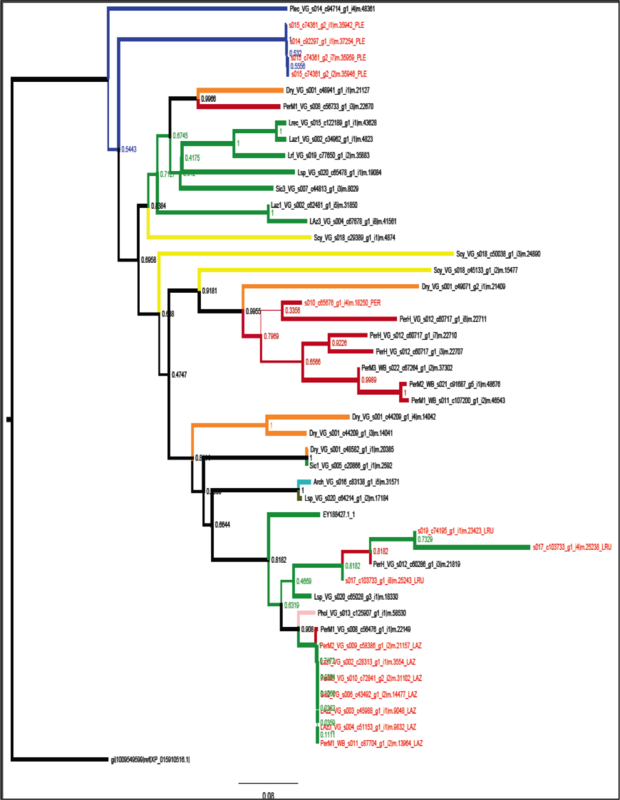 What is the evolutionary history of gene families found in the venom of Haplogyne spiders? Spider venom is a complex chemical cocktail, less than 0.1% of which has been described. Spiders use their venom to hunt for prey, so each group of spiders has a unique combination of proteins and peptides based on feeding behavior, environment, and other ecological factors. Little is known about the evolutionary mechanisms that led to the origin of these venom toxins, which are of significant medical importance. 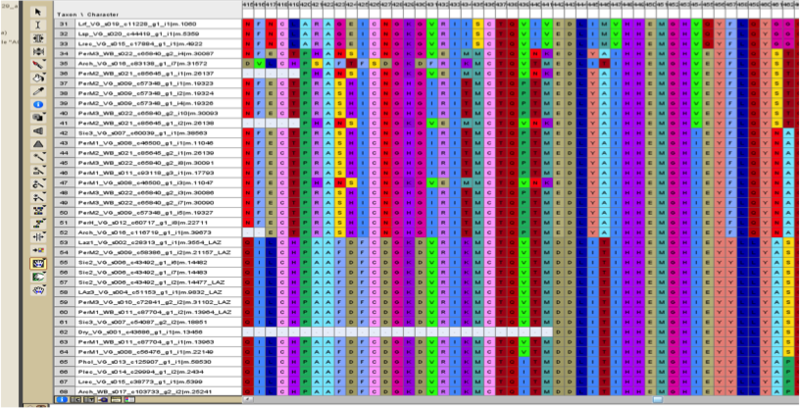 This project is the Binford lab’s first steps into the world of big data analysis with transcriptomics. We annotated the crude protein content for eight species of spiders within the Haplogynae superfamily, creating detailed records of what proteins and peptides they contain. We identified three ubiquitous venom gene families of interest: SicTox, ACE (angiotensin-converting enzyme), and astacins. We computationally searched the entire transcriptomic database to find all representatives of these gene families, developed methods to trim the output, and put the final dataset through traditional phylogenetic methods to propose patterns of evolutionary history. 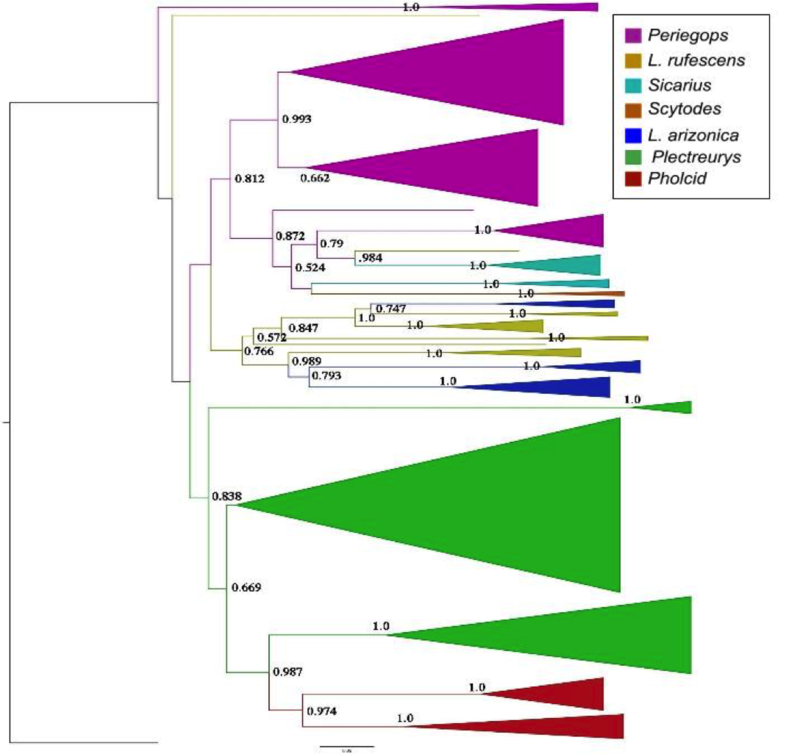 Inferences based on these phylogenies give us insight into the evolutionary patterns that have led to the incredible diversity of spider venom cocktails seen today. Integral to the Binford lab’s research is the brown recluse spider (Loxosceles reclusa) and its relatives. The venom of these spiders contains Sphingomylinase D, a toxin that causes dermonecrosis in mammals, thus making them medically important (and the victim of a lot of popular myth!). 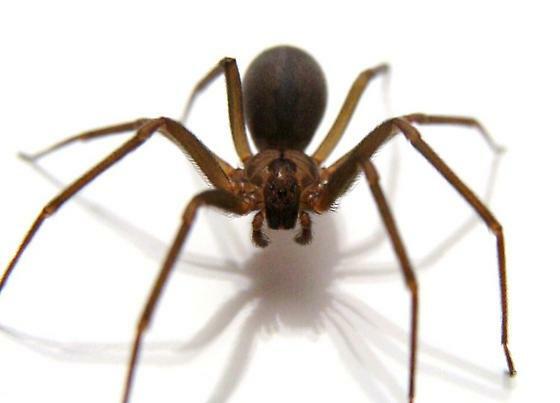 For more information on the brown recluse spider, click here. This summer, researchers in the Binford lab were interested in looking at the evolutionary history of the individual components of the venom in the brown recluse and its relatives; in other words, what is in the venom and when/how did it evolve to be there? Our data set is comprised both of proteomes, crude venom sequences, and transcriptomes, the sum total of all the messenger RNA molecules expressed from the genes of an organism, for 11 species of haplogyne spider. A large part of the summer was spent developing the methods with which to answer these questions considering the enormity of the dataset and the computational burden it caused. The first step was annotating the proteome: searching databases to identify the names/functional groups of the proteins and peptides that were identified in each crude venom sample. 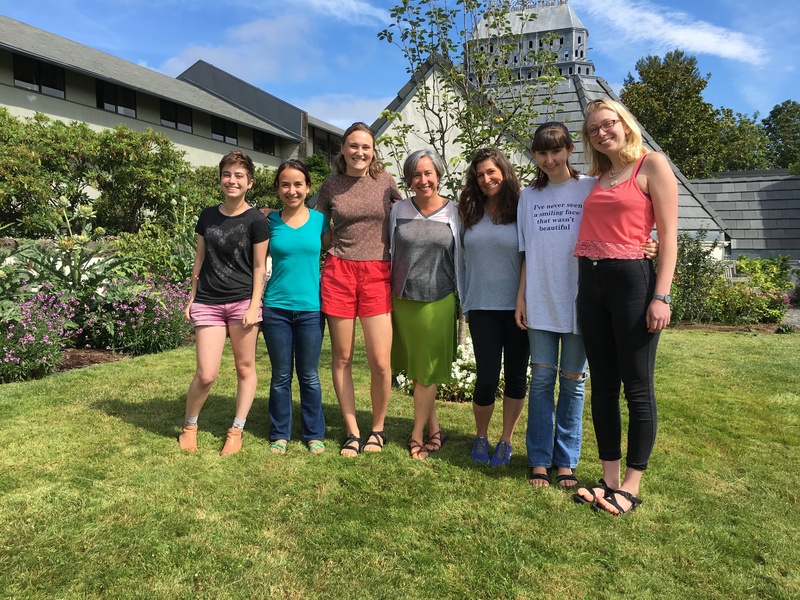 From left to right: Kendra Autumn (Willamette University ’17), Ella Santana-Propper (Lewis & Clark College ’17), Sophia Horigan (Lewis & Clark College ’16), Greta Binford (Professor of Biology, Lewis & Clark College, PI), Pamela Zobel-Thropp (Professor of Biology, Lewis & Clark College), Sasha Bishop (Lewis & Clark College ’15), and Demi Glidden (Lewis & Clark College ’16). Read more about Greta on the Lewis & Clark website.